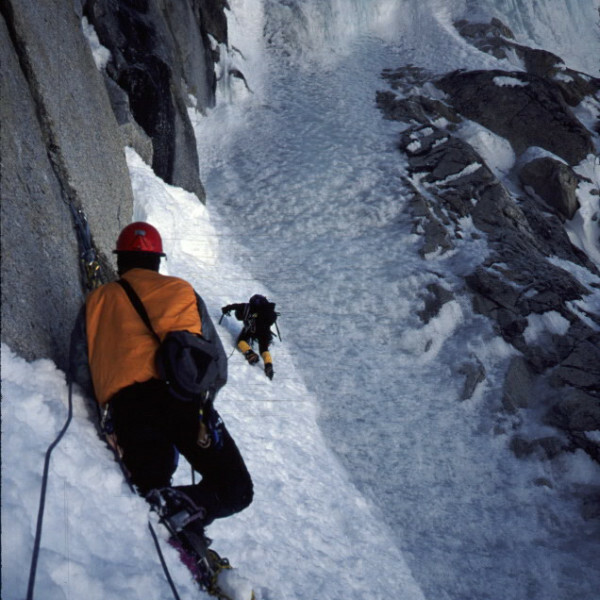 Mountain Trip began guiding technical climbs in the late 1970′s in the Ruth Glacier, leading the first ascent of Mt Johnson and routes on many other peaks. Over the years, we have led ascents of iconic peaks such as Mooses Tooth, Mt Foraker, Mt Hunter, Mt Russell, and Mt Deborah. 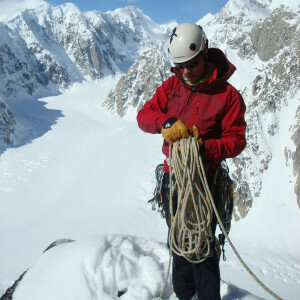 Mountain Trip has also led numerous routes on Denali such as the Northwest Buttress, the Cassin Ridge, the West Rib, the West Buttress Direct and the South Buttress. We love climbing technical routes. 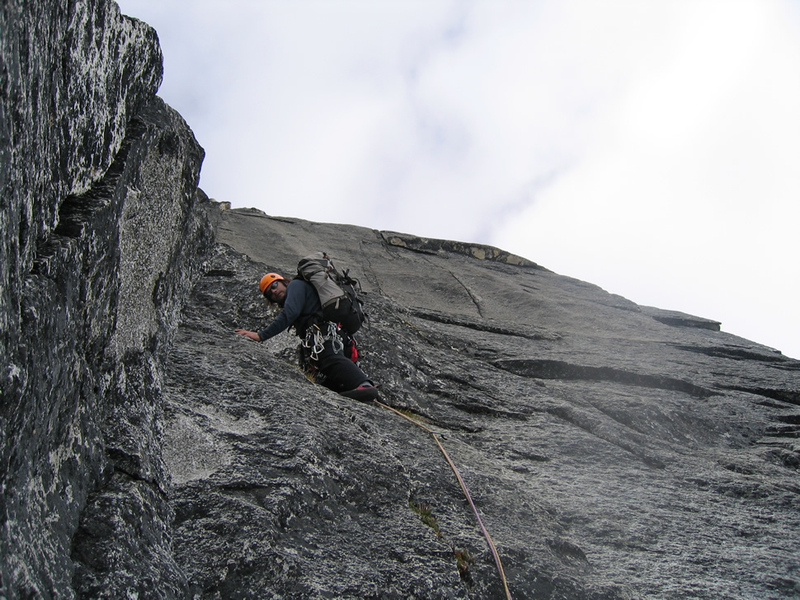 Each year we offer a selection of routes and we are always looking for a new peak to climb. These climbs are for experienced climbers only. Party size is limited, so please contact us well in advance of the season. 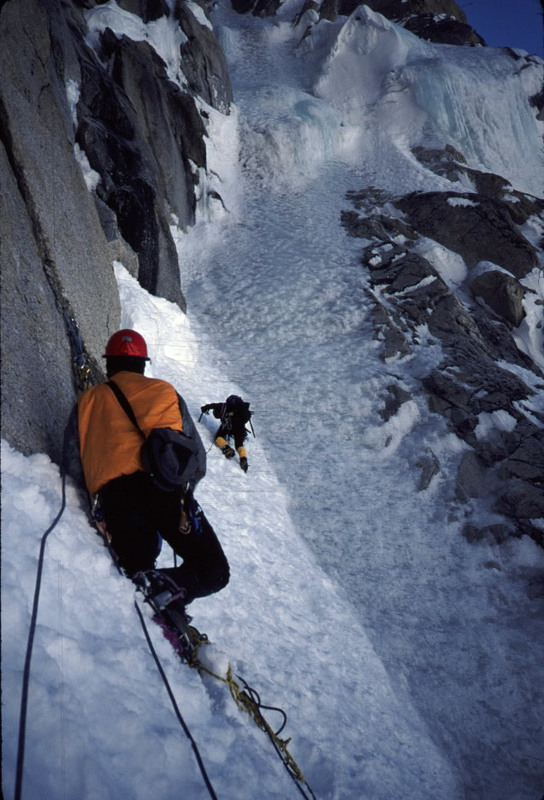 Most technical climbs are made via private arrangements, so give us a call if you have a high and wild alpine dream that you are ready to pursue. We are climbers who are passionate about being in the mountains and love to share these wild places with other climbers. Just as there are often many routes to a mountain’s summit, so to there can be many ways to pursue a dream of climbing big mountains. 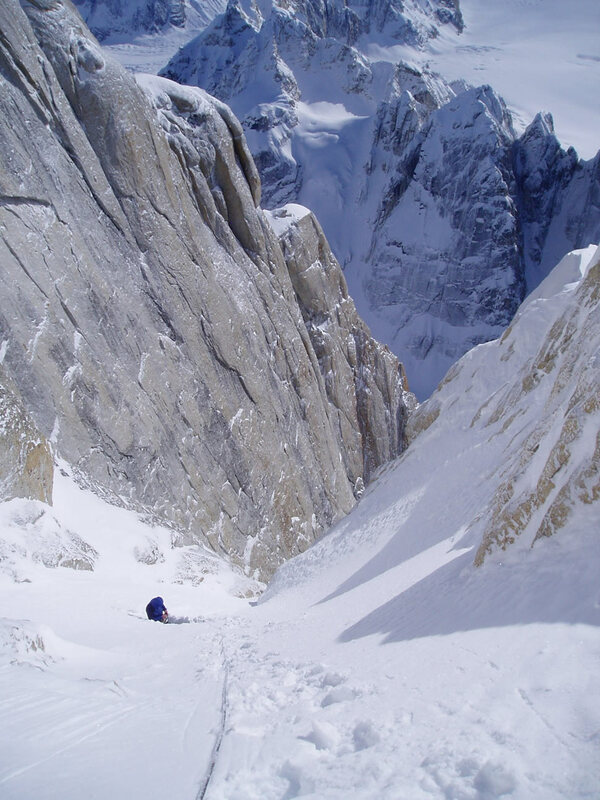 After decades of working with all manner of climbers and aspiring climbers, we have learned a thing or two about which routes are most successful. 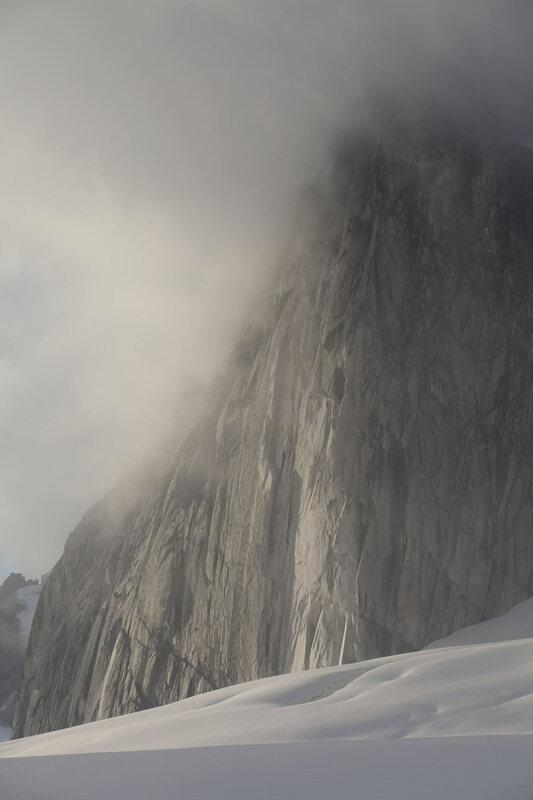 We like to think of climbing and mountaineering within the context of a continuum. We all start somewhere on the continuum and proceed further along, until we reach our goal, get sick of the whole enterprise or can just go no further. There are no viable short-cuts to climbing big mountains. Hiring a mountain guide has rich traditions stretching back to the mid 1800’s, and has enabled mountain enthusiasts to pursue their passion for wild places without devoting their lives to the time and energy necessary to mount their own expeditions. 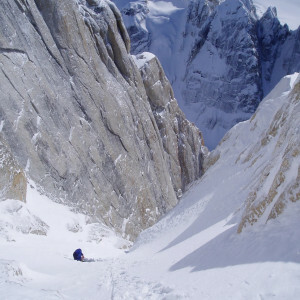 Mountain guides allow aspiring climbers to more safely embark on the continuum and to follow it further than they might otherwise have the opportunity to do, however; at the end of the day, it was the personal effort and skill set of the individual climber than got them to the summit, or saw them fall short. If you are a recreational hiker or backpacker, you should focus on learning some snow skills and join a trip that will teach you if longer trips are something that you will enjoy. If you are intent on “going for it,” start with a shorter climb, like an ascent of Kilimanjaro or Mount Elbrus. These offer some insight into how you will feel at higher altitudes, with the benefits of being relatively short trips that are highly supported. 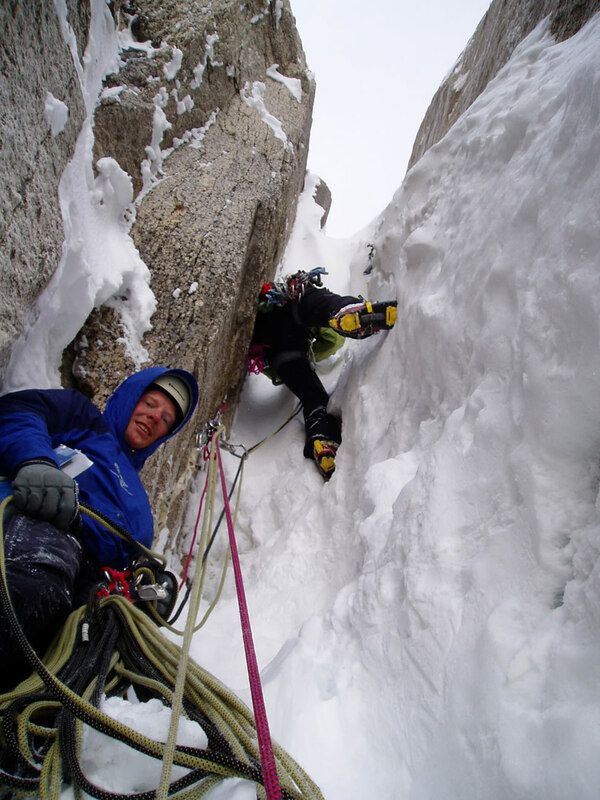 Are you a fit technical rock and/or ice climber who wants to climb a big peak? Are you a seasoned mountaineer in the Alps, New Zealand or the lower 48 states? What are your goals? 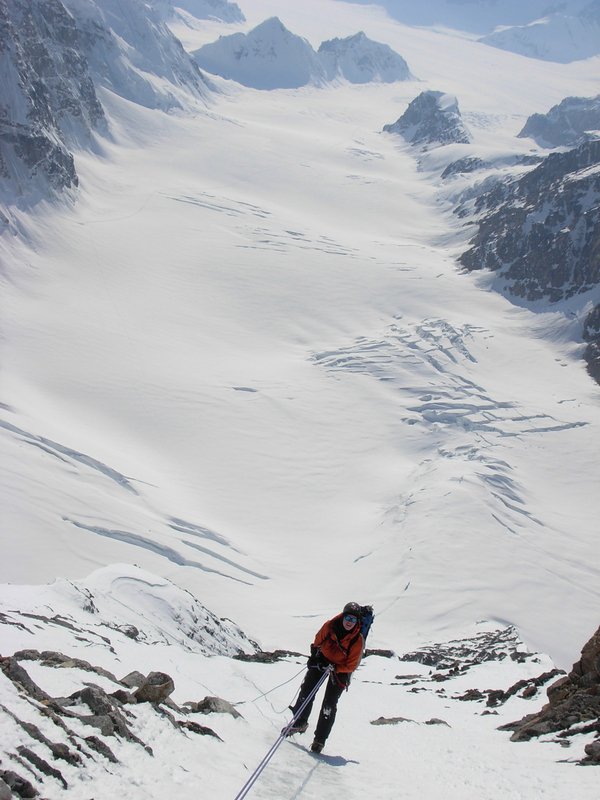 For some, the goal is the summit, and an ascent of the Denali via the West Buttress is a great choice. 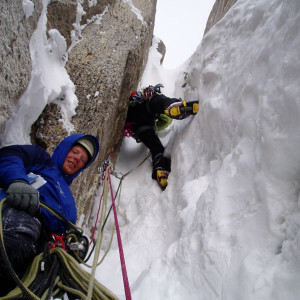 For others, it’s all about the climbing, and they are willing to assume a greater risk of not standing on the summit for the challenge and quality of the technical climbing, so they might opt for the West Rib. 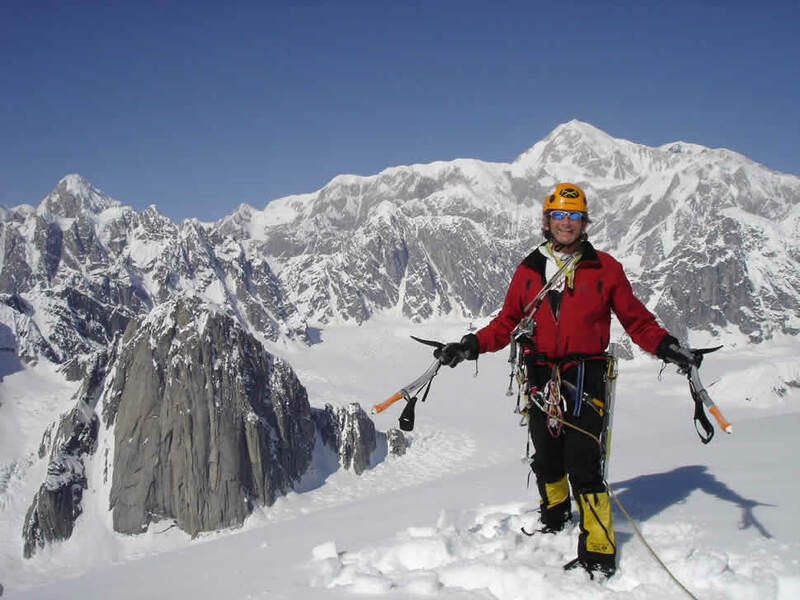 The Sultana Ridge on Mount Foraker offers spectacular climbing in a stunningly beautiful and often exposed setting, yet usually sees less than a dozen attempts each year. Seven Summit climbers have it easier, in some ways. But how should one proceed? A smart sequence might be one that increases the altitude and the physical demands of the ascent. Consider beginning with Kilimanjaro or Elbrus, moving on to Aconcagua, then Mount Vinson, Denali, Everest and Carstensz. Carstensz is so much different from the other six, that it could fall anywhere into the sequence, but it does require a skill set that is different, and will require some additional preparation. 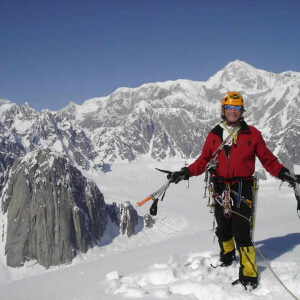 Financially, you might decide to climb Denali before Vinson, as some additional insurance in case you learn that you just can’t stand the cold. 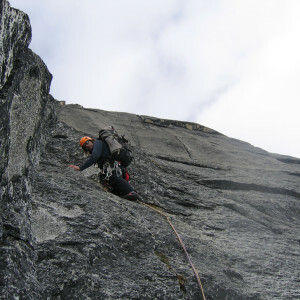 Experienced, technically proficient ice and rock climbers, who want to push their limits on big alpine faces will find many lifetimes worth of challenges in Alaska. 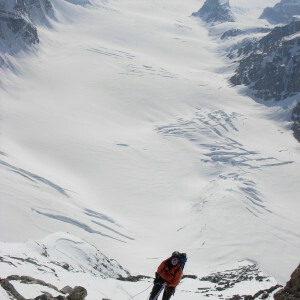 Mooses Tooth, Peak 11,300, Mt Huntington, and the most sublime line in the Alaska Range, the Cassin Ridge, are all within the reach of climbers who put in the time to hone their skills, build upon their successive experiences and train hard to be in peak physical fitness for their climb. 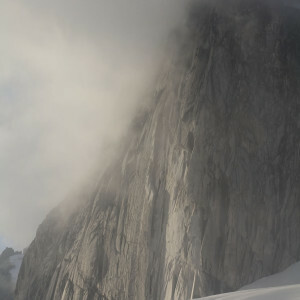 The following is a very general list of gear for climbing technical climbing routes in Alaska with Mountain Trip. Climbers joining us on an expedition will receive an updated, comprehensive equipment list that will be tailored for the route you are climbing. Many of the items on the list need to fit you well in order for you to fully enjoy your experience on the mountain. Please plan ahead with equipment purchased for your trip so you can be certain that your gear fits you well. Pitch 4 on Ham and Eggs is not the place to discover that your pack is too small for your torso, or that your boots give you blisters. Recommended items reflect the opinions of our guides. We have used and have faith in all of our recommendations, but they may not necessarily fit or work for you. Please follow this list closely and do not hesitate to call us for clarifications or to solicit an opinion about anything you are considering. There is a great selection of gear available in Anchorage but please plan ahead and order any items that are size specific. Only bring down good gear that is in very good condition, as it will all get tested, perhaps to the extreme! • All Alaska technical routes require a $1500 deposit to secure a spot on the team. Your submission of a deposit constitutes your acceptance of this Fee Schedule, Refund and Cancellation Policy. 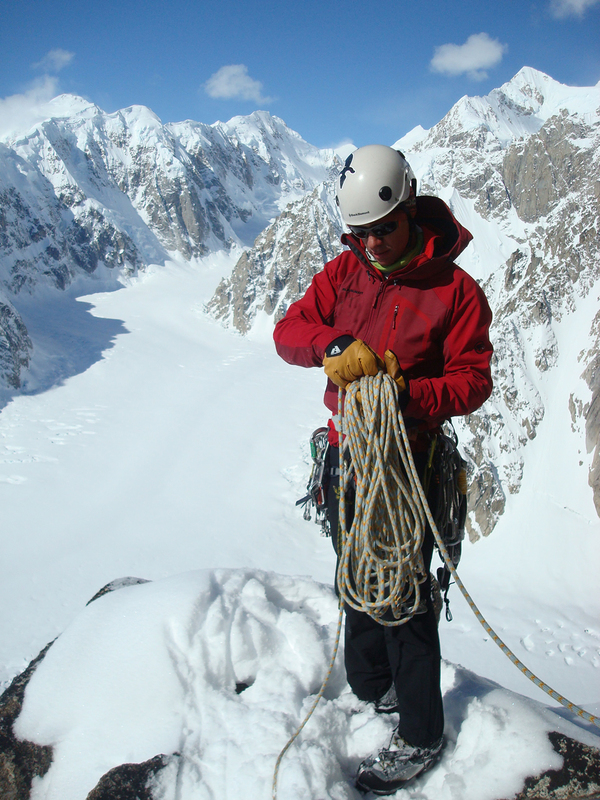 • All deposits for Alaska climbs include a non-refundable $750 administration fee. • Final payments for climbs must be received 120 days prior to the Team Meeting Day. 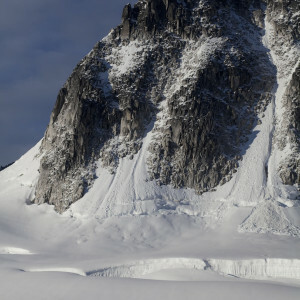 • Up to two nights accommodation at the Millennium Alaska Hotel (shared room) before your climb. 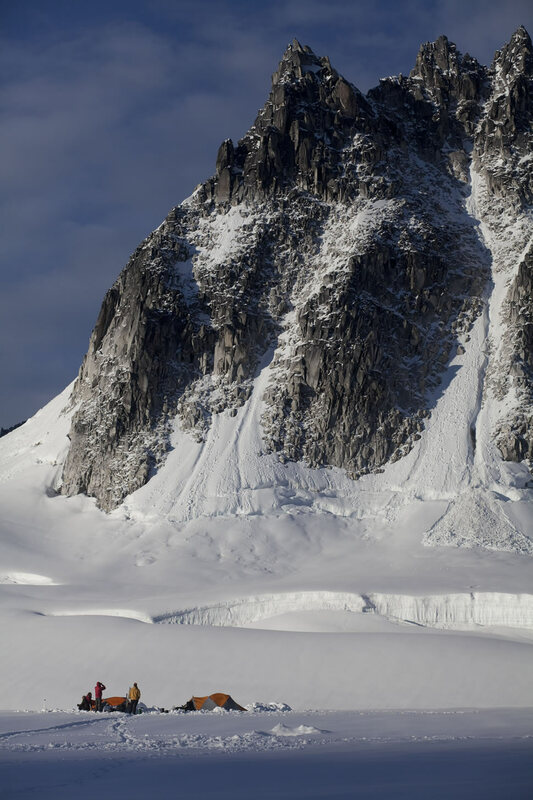 As we do not know when teams will require lodging after their climbs, we do not provide post-climb lodging, although we will help you secure rooms after you fly off the glacier.